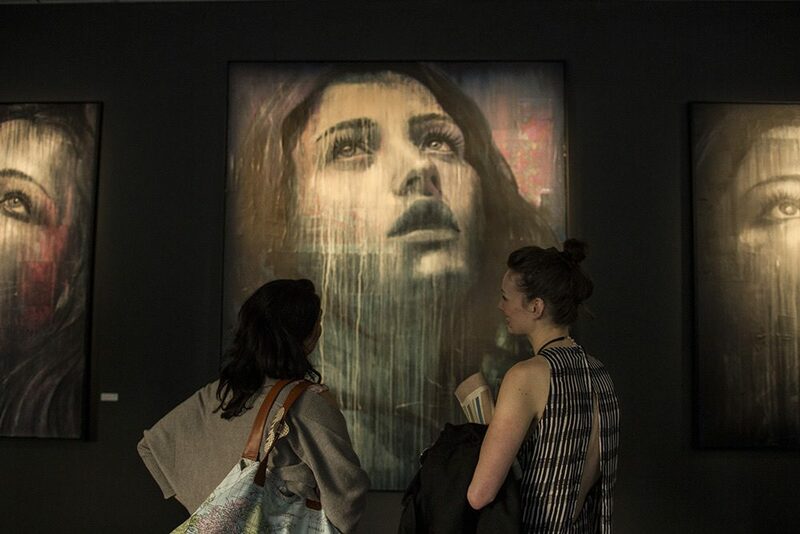 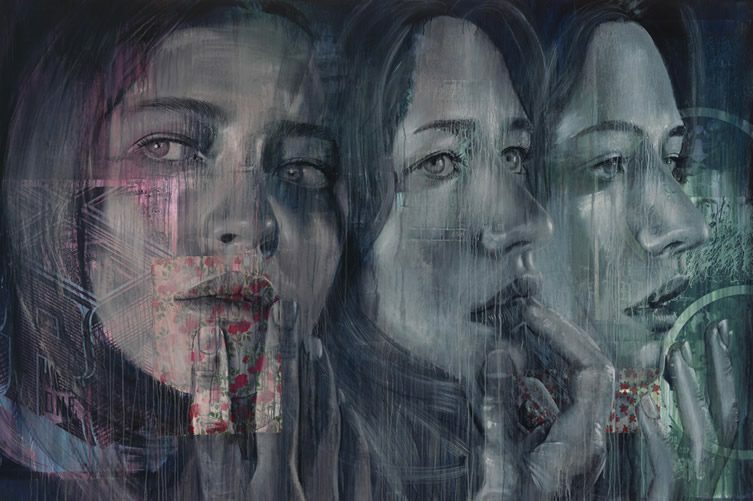 After recently working on projects in Mexico and Louisiana, street artist Rone is back in Melbourne for his first Australian show in two years. 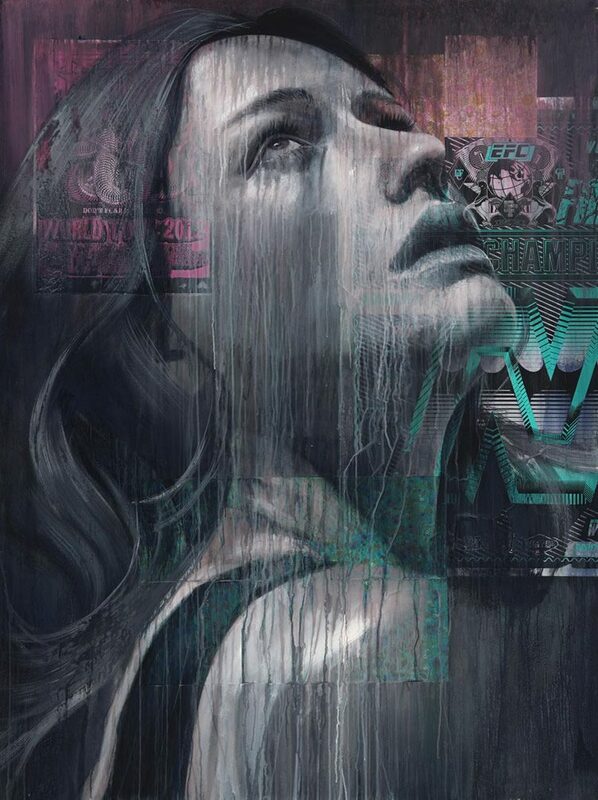 Lumen draws on his time in Juarez, Baton Rouge and New Orleans – all places which have experienced devastation through natural disaster, crime or economic crisis, but which maintain an indefatigable spirit. 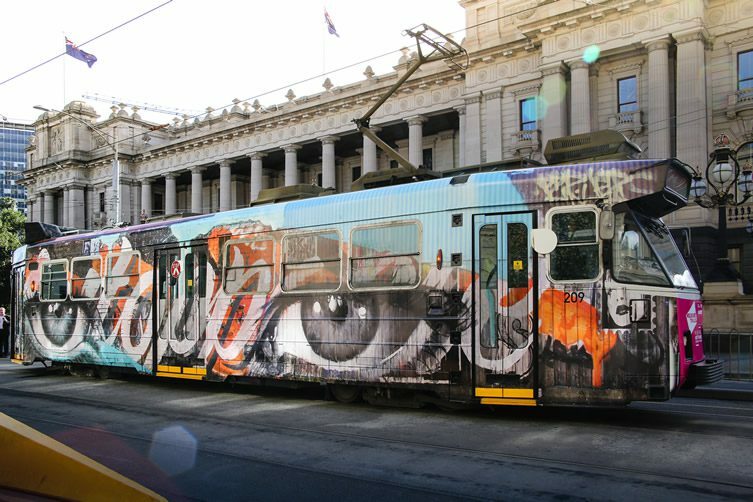 “They can see light at the end of the tunnel,” he said. 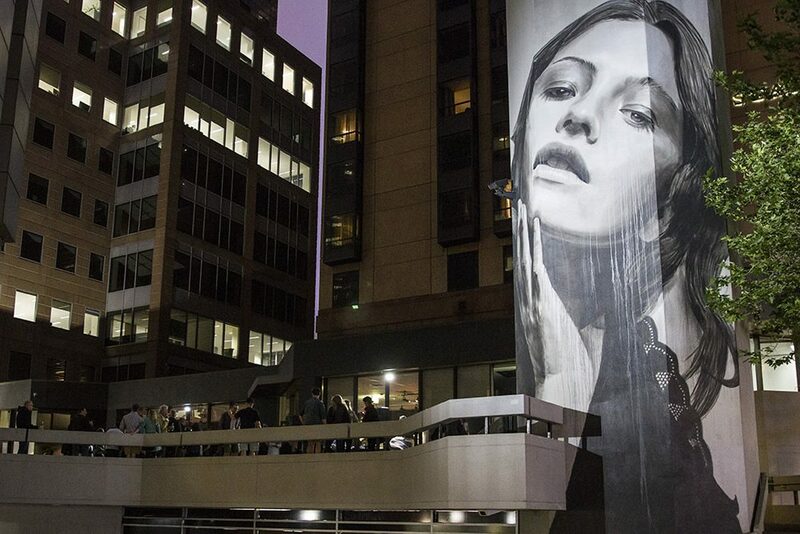 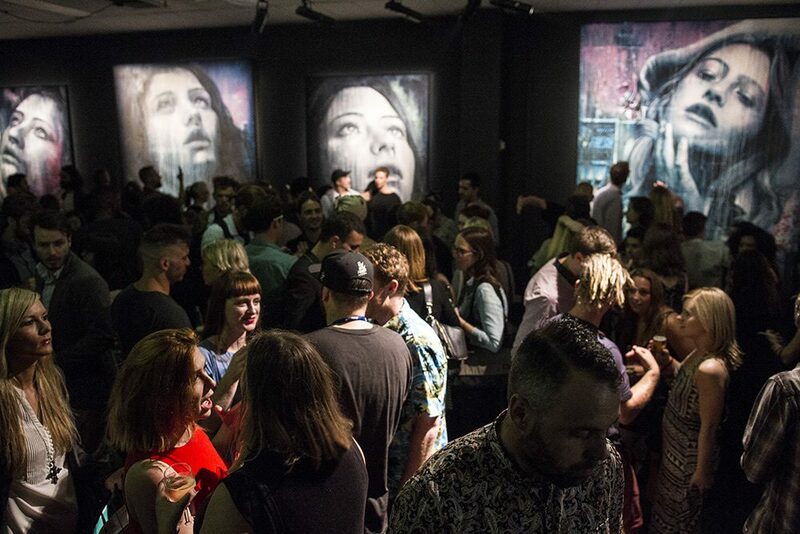 “It’s inspiring, and I want this sense of hope to come through in the work that I’ve created.” Rone’s Lumen series (Latin for “daylight”) is a typically large-scale event taking over both the inside and outside of a building at 109 Little Collins Street, and consists of 11 portraits plus a 12 metre mural on a ventilation tower. 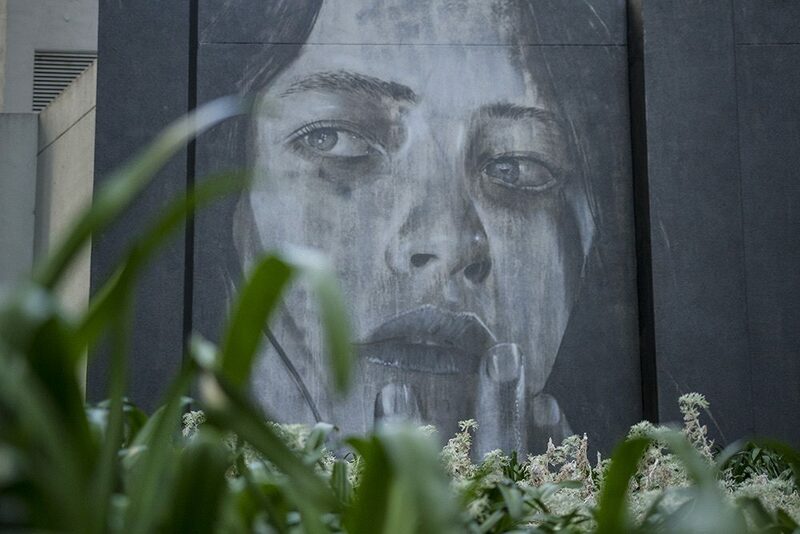 The building is an abandoned office block scheduled for demolition, but before the plunger goes down it has been given a last hurrah with a coat of black paint onto which Rone has applied his contemplative portraits, skilfully lit by John McKissock. 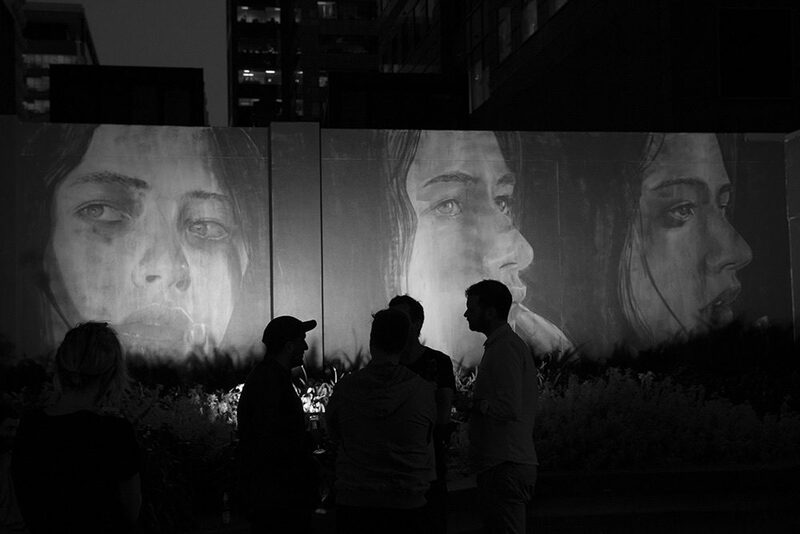 Lumen runs until 9 November. 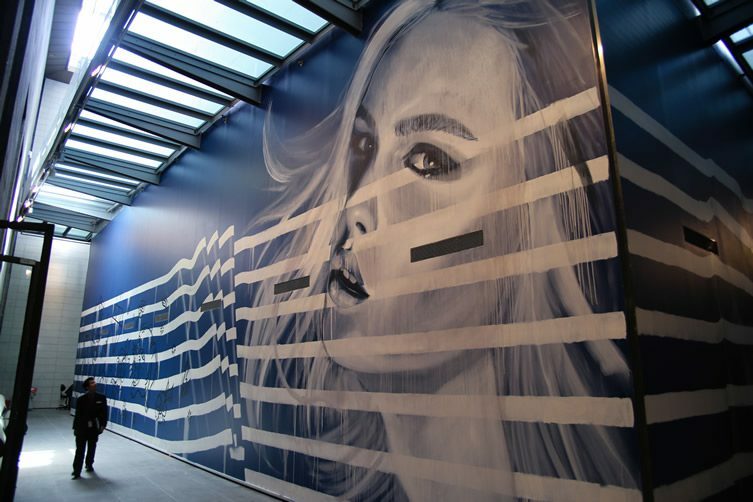 Meanwhile, Rone’s work for Jean Paul Gaultier, depicting four of the fashion designer’s Australian muses (Cate Blanchett, Kylie Minogue, Gemma Ward and Andreja Pejic) is on show at the National Gallery of Victoria, and you can also catch his full car tram on the streets of Melbourne for the city’s International Arts Festival.